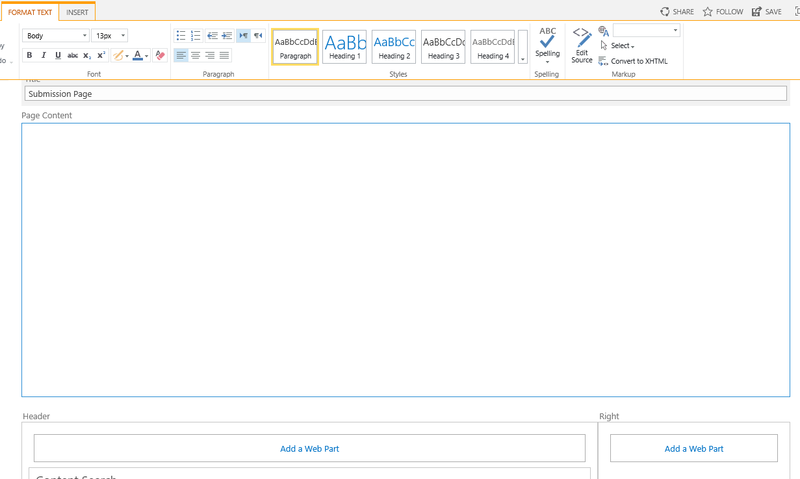 The Blank Web Part Page template in SharePoint 2013 has a large Page Content section. I find this irritating as you have to scroll down to get to the web part section. In this post I’ll show how you can reduce the size of this section to make editing pages easier. 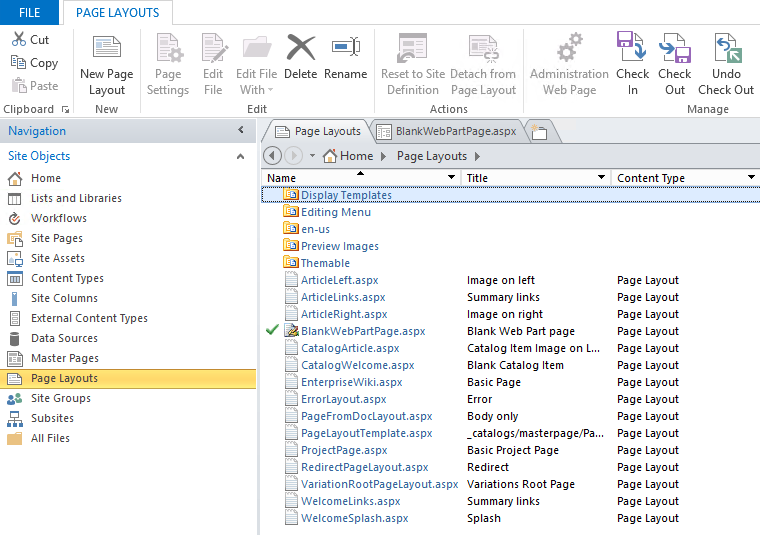 Open SharePoint Designer and navigate to the Page Layouts section. Check Out the BlankWebPartPage.aspx file. Open the file and Advanced Mode. Scroll down to the line starting <PublishingWebControls:RichHtmlField FieldName=”PublishingPageContent”. Find the property MinimumEditHeight and change the value to something like 50px. 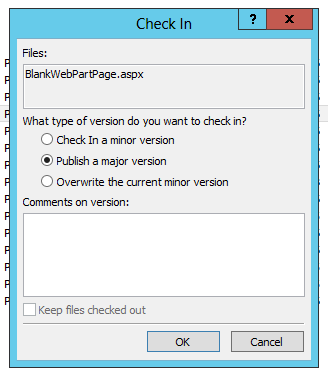 Check In BlankWebPartPage.aspx and Publish a major version. When you create a page using this template you’ll see the Page Content section is smaller. This entry was posted in SharePoint and tagged Microsoft SharePoint, SharePoint 2013 on August 2, 2013 by richardstk.